This entry was posted in 1990's, Miscellaneous, New Hampshire, USA, Y. Bookmark the permalink. 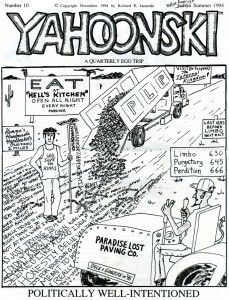 I used to work with Rick Jacunski in the 1990’s and have retrieved from the attic a Fall 1992, Number 5 issue of YAHOONSKI. Always enjoyed them. 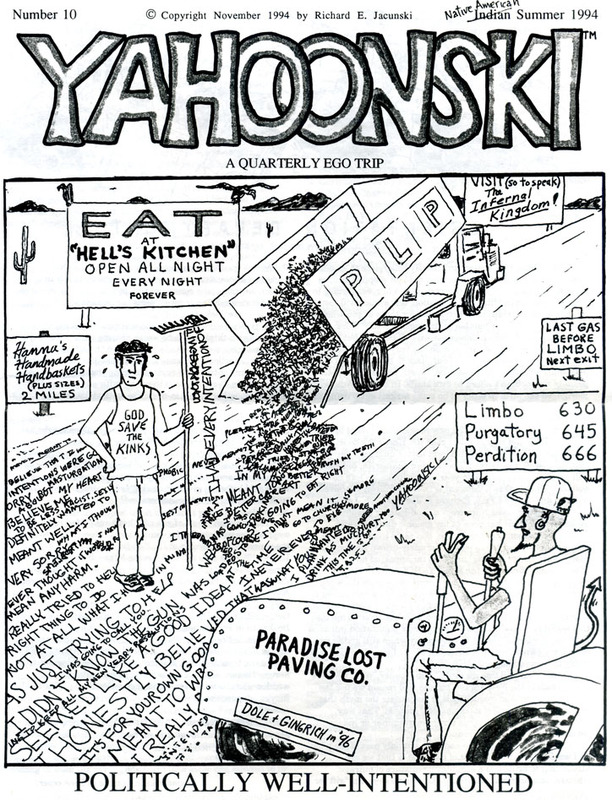 Would Rick want this issue back or would Hampshire College Zine like this back? I would like to get it back into Rick’s possession.